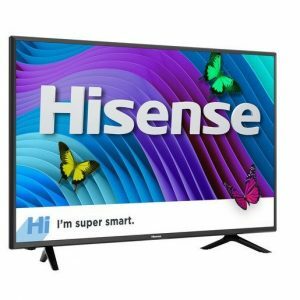 Hisense 55-inch class (54.6″ diag.) UHD Smart DLED TV (55DU6500) i’m a big deal. 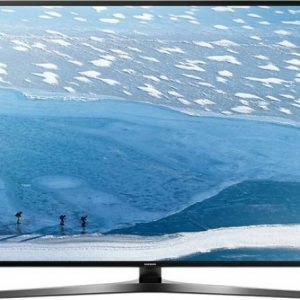 Have you ever seen a 4K UHD TV like this? We’re guessing that if you did, it was not this affordable. 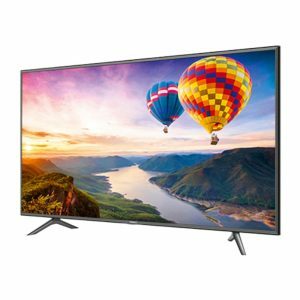 It has four times more pixels (8.3 million) than standard high-definition TV, so the H6 Series 4K UHD TV has really bright colors, clean lines, and rich contrast. 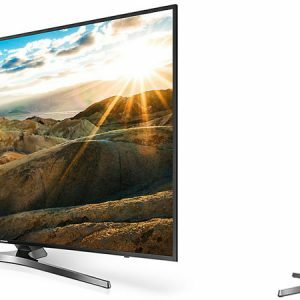 The HDR technology maximizes brightness while the built-in UHD Upscaler converts lower resolution content as close to 4K as possible. This series also features award-winning sound integrated from dbx-tv® and comes with tons of built-in apps to personalize your entertainment. 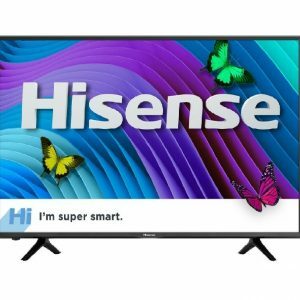 Hisense Television 55″ DV6500 has a stunning content on its wide display.This television plays content from any external device with rich pictures and sounds and inspiring visuals. 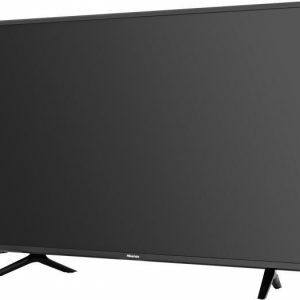 The Hisense television cleans every pixel, making the images stand. A full spectrum of colors fills the images with soft yet bold shades. 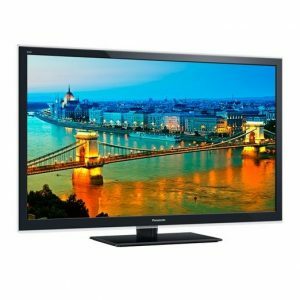 This television provides high quality viewing all in the comfort of ones home. Diagonal lines and edges are detected with high precision for all types of images, and optimal correction is applied to achieve beautiful, noise-free lines. People’s faces are detected and skin tones are corrected to ensure soft, natural complexions. Additionally, Viera Connect is a cloud services that offers apps in a number of categories; video and music, social networking, games, news and lifestyle,sports, health and fitness. Viera Connect optimizes this TV for the best customer experience with Netflix, Huluplus, Amazon Instant Video, Facebook, Twitter, and much more. 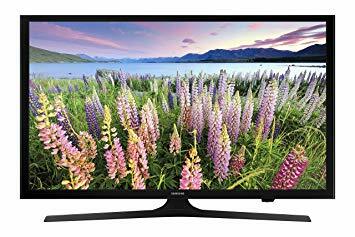 Forty-three (43) inch can bring all your favourite movies, television shows, games and media content to life in lucid,vibrant Full HD standard television. All smart features can be accessed for an interactive, entertaining home experience. 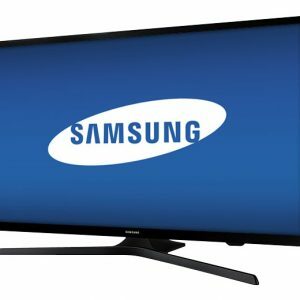 The Samsung J5200 43-Inch Smart TV provides a high-resolution picture while also allowing you to browse the web or access smart apps to easily find your favorite media. 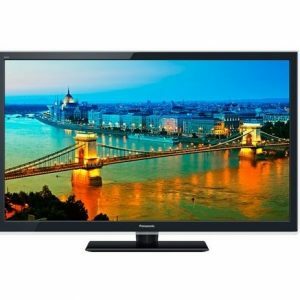 Also,an advantage of this smart television is access to USB port which allows one to view personal media, or use screen mirroring to broadcast media from your mobile device onto the big screen all in the comfort of the home. 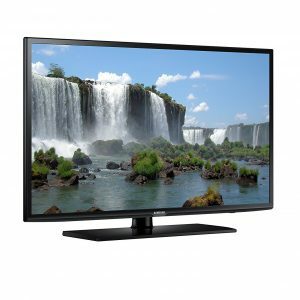 Enjoy Full HD viewing and enriched colors on this Samsung HDTV. 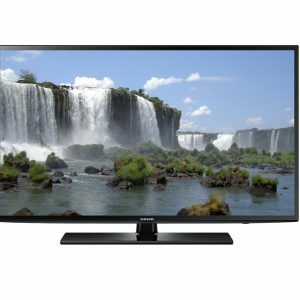 Its Smart TV features let you stream videos and music, surf the Internet, download apps and more. Plus, watch your TV entertainment on your mobile device or vice versa.